If you have recently started a business, are in the process of trying to create a business, or you have just acquired a family business, you are in need of a Massachusetts or New Hampshire business lawyer. The law firm of George C. Malonis is your local source for any and all of your business law needs. Attorney Malonis has helped client in the Middlesex , Essex and Hillsboro NH counties. You have surely invested a lot of time, energy, money, and heart in the business venture you have embarked on and you should take every step necessary to protect that investment. The best way to protect that investment is by retaining an experienced and knowledgeable Massachusetts and New Hampshire business law attorney from the law firm of George C. Malonis. When you transfer a business or split up ownership in any way, there needs to be clear-cut legal documentation to protect and outline the interests of both parties. A business lawyer who is experienced and known in the Massachusetts and New Hampshire area can help negotiate franchise matters, public opposition matters, permits, contracts with construction companies or subcontractors, and any other legal matters that requires comprehensive legal representation. Our services can help you successfully navigate disputes with other businesses or contract disputes. The law firm of George C. Malonis offers comprehensive representation that can either be an as you need basis or a full time partnership to help you safeguard your business on every level. As you develop and grow, we can help you expand and can protect your on-going interests. Business is more than business to the law firm of George C. Malonis. It can be very personal to you and your family. We will take the time to understand your business, your needs, and how our business law capabilities can best serve you. Regardless of the size of your business, a Massachusetts or New Hampshire business law expert from the law office of George C. Malonis can and will make your business and its success a priority. We can offer customized and affordable service that enhances you potential for growth and security. Let George C. Malonis see what we can do for your business. 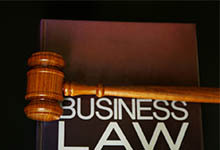 Call 978-453-4500 to schedule a free business law consultation today.